This is not my best photo by a long shot, but the fact a bird decided to fly in just as I was snapping the picture was too cool not to share! Okay, actually where I live I do have sunshine an awful lot of the time. But this guy? He takes it with him wherever he goes. 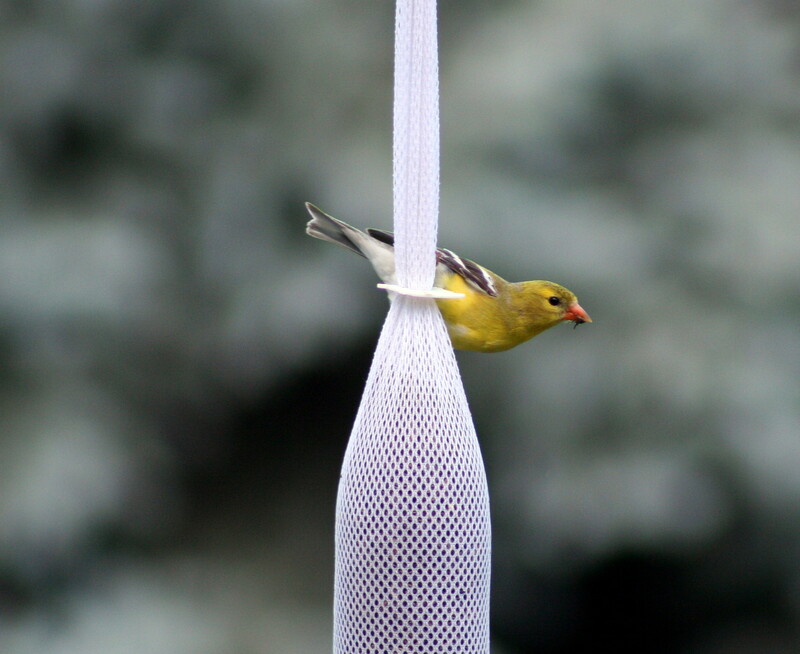 Another goldfinch showed up for a meal, and seemed a tad put out by all the photography attention. 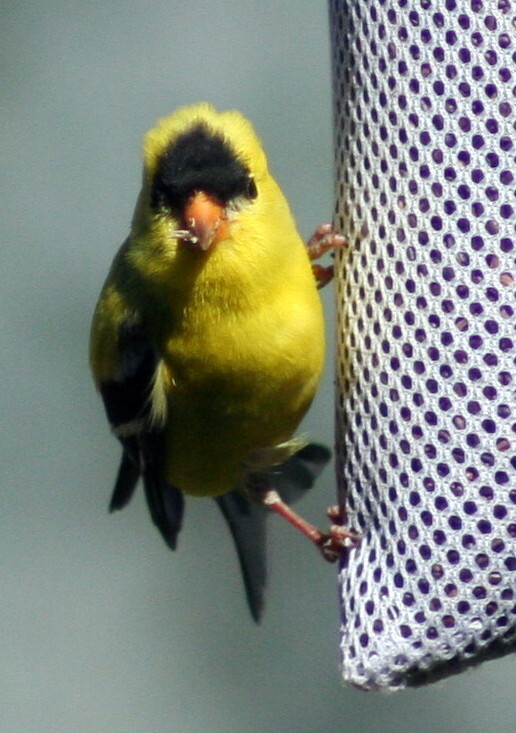 A while back I got, on a whim, a sack of birdseed that supposedly finches love. 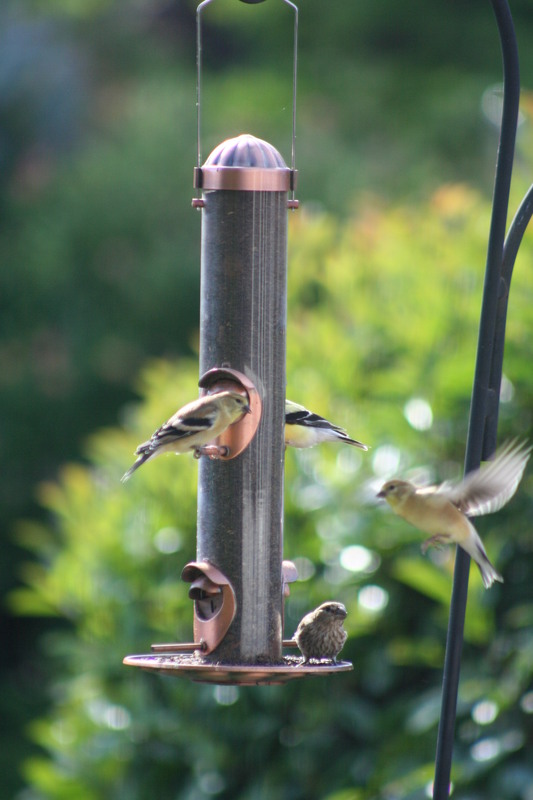 We have a lot of finches around so I hung it and waited for them to flock towards the feast. After a while I decided to hang it in a different location. And finally we spotted a finch on it, snacking away! 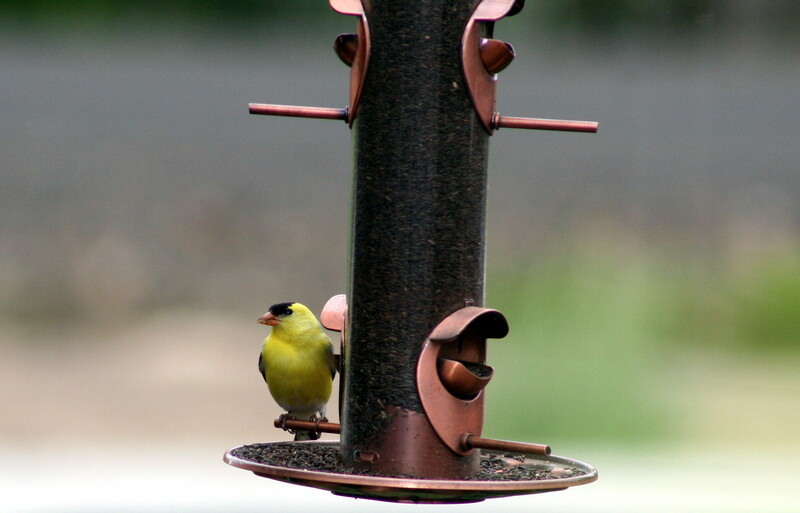 And dang if it wasn’t a truly truly GOLDfinch. I squealed like a small child.